The End of Meat Premieres Worldwide Today. Here’s How to Watch.The End of Meat Premieres Worldwide Today. Here’s How to Watch. The End of Meat Premieres Worldwide Today. Here’s How to Watch. After sold-out premieres in Berlin, New York, Los Angeles, and Toronto, the incredible full-length documentary The End of Meat launches worldwide on March 12. Produced in Germany by filmmaker Marc Pierschel, the film highlights the hidden impact of our meat-heavy diets and the growing movement to bring about a world where we don’t exploit and kill animals for food. While countless documentaries focus on the widespread problems caused by animal agriculture, The End of Meat takes a different approach, illustrating what the world might look like without meat. In Germany, home of bratwurst and schnitzel, meat is an integral part of the diet. That is, until a few years ago, when perceptions somewhat evolved. Health concerns and meat scandals led to a public debate about the ethical implications of meat consumption and the rise of plant-based diets. Meat producers launched their own vegan products; 100% vegan supermarkets opened; and almost every food manufacturer was adding and labeling vegan options. Is this the beginning of the end of meat? Are we approaching a turning point in the human-animal relationship? The End of Meat aims to uncover what effect a meat-free world would have on animals, the environment, and human health—featuring leaders in the vegan movement and food innovators who are making meat without animals. This powerful film will undoubtedly change hearts and minds. Watch the full documentary on Vimeo and iTunes. Without a doubt, eye-opening documentaries are among the top reasons people move toward a vegan diet. So why not invite the veg-curious folks in your life to watch this powerful new film? And while you’re at it, check out these five other films that will inspire viewers to leave animals off the menu. 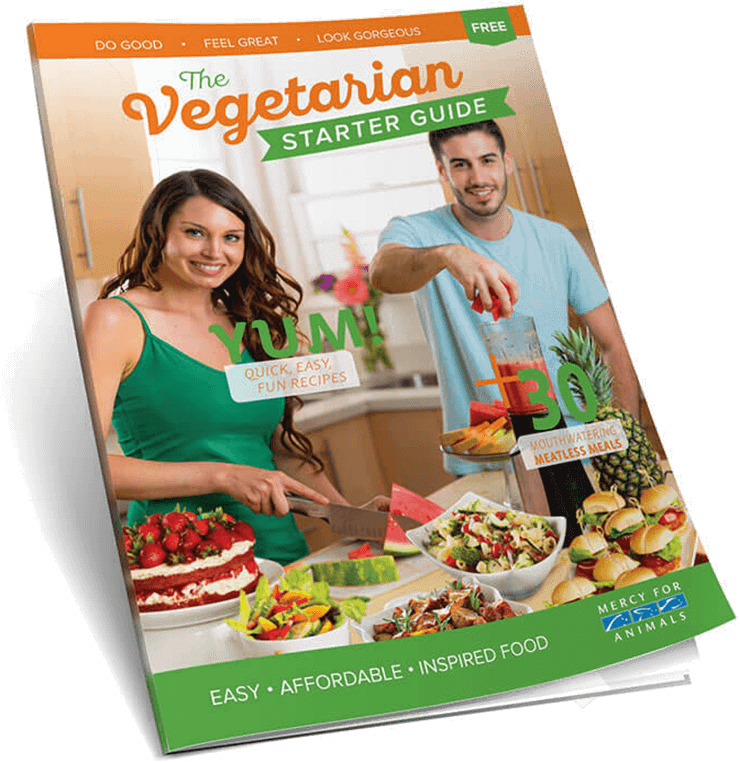 For delicious recipes, easy meal ideas, and tips for eating more plant-based meals, get your FREE Vegetarian Starter Guide today.